As you consider choosing Doll Bros for your home cleaning, please consider what our customers go out of their way to say about us. 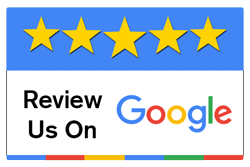 We’ve received literally hundreds of reviews for our work across numerous sites including Google, the BBB, Angie’s List, Yelp and here on our site. We’re proud of our work and believe that what our customers say about us is far more important than anything we might say about ourselves. After we’ve cleaned your home, please review our work below – thanks so much! Fantastic job. I will be calling next year. DOLL BROTHERS is wonderful! Their service is absolutely about the customer's satisfaction. They work on the carpet (and furniture if needed) the entire time - going over any areas that need some extra care. I am TOTALLY happy with the DOLL BROTHERS cleaning. I have had them come to our home the past 2 years and plan to have them in the future. YOU CAN'T GO WRONG WITH DOLL BROTHERS CLEANING! Our family has been utilizing the services of Doll Bros Carpet cleaning since the 1980's. They have alway been extremely friendly,accommodating and best of all the work product is no less than outstanding. I would recommend them highly. You won't be disappointed! I HIGHLY RECOMMEND DOLL BROTHERS CARPET DRY CLEANING FOR THE FLOORS IN YOUR HOME. THEIR WORK IS OUTSTANDING AND WORTH EVERY PENNY TO COME HOME TO BEAUTIFUL CLEAN FLOORS IN MY CONDO. THEIR TECHNICIAN HAD A PROFESSIONAL APPEARANCE AND ANSWERED ALL MY QUESTIONS. I WITHOUT HESITATION HIGHLY RECOMMEND THEIR SERVICES TO ALL MY FAMILY AND FRIENDS! Don Doll and his crew Sarah and Cody showed up on time, are very friendly and professional. Don explained to me how the process works, and my carpet looks fantastic. He explained to me that the stains will not come back because of the dry cleaning method they use. The price is very reasonable and I will be recommending them to my family and neighbors. Thanks Don! Sarah and Don did an absolutely outstanding job with our white carpet! It looks brand new. In addition, they are both courteous and have delightful personalities. I have had Doll Brothers clean my rugs, furniture, and grout. There has never been such a professional, knowledgable, and company that is so adamant about doing a perfect job. I would not hesitate to recommend them to anyone. I would highly recommend them. Arrived on time, did a professional job on furniture and carpet. We've had several companies over the years clean our carpet. It always got dirty quickly after cleaning, it seemed. Then we had Doll Brothers do it. WOW! The carpet dried much more quickly, and the whole house smelled wonderful with a light, fresh scent. Best of all, the carpet was perfectly clean! Now, it's almost a year later, and today I pulled back a large rug in the living room. The surrounding carpet was nearly the same color as that which had been covered for so long! We do have heavy traffic paths that are darker but so much lighter than any other year, and we've got three spots where we tried to clean up messes. The stains came out, but we walked on the spots when they were still damp and they got dark quickly. Grrrr, our own fault. We'll be having Doll Brothers back soon. I can't wait! We truly love Doll Brothers! Whole house carpet cleaning. Sara called day before and morning of service, very polite and friendly. Measured, and gave exact price, and instructions for after care.